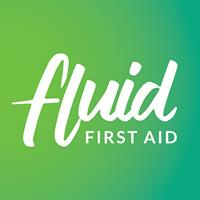 With an innovative approach to first aid training, Fluid First Aid offers fun and informative courses to individuals or groups that want to learn all-important skills efficiently and in a supportive and nurturing environment.Fluid First Aid courses are offered weekly at three locations across Brisbane, providing flexibility and convenience. We offer comprehensive courses covering first aid essentials, along with tailored courses to meet specific first aid training needs for various professions.We offer nationally recognised and non-accredited training programs. Our satisfied clients will attest to the high quality of our first aid training.